It’s safe to say Saturday’s clash with Cabramatta was the most bizarre match of the year for the Dirty Reds. After leading 22-nil after 25 minutes, Glebe-Burwood conceded six unanswered tries to fall behind 28-22 midway through the second half, only to draw level 6 minutes from time. Both sides then missed late shots at drop goal to see the match finish in a 28-all draw. While both sides will rue missed opportunities to seal the win, the loss of crucial players to injury for the season will sting somewhat more. Cabramatta fullback and chief playmaker Don Thompson suffered a broken leg – while just a few minutes later, Dirty Reds centre Ray Lesoa capped an injury plagued season (which also saw him contract Golden Staph) by dislocating his shoulder for the second time this year. He is expected to miss the remainder of the season. But the afternoon started in perfect fashion for the home side when Royce Tout seized on a perfectly-weighted grubber from Penani Manumalealii to score the first try of the afternoon after 2 minutes. Not long after the restart and the Reds were in again when a swift back line passing movement saw Penani put Jowasa Drodrolagi over in the corner. The conversion from Ryan King made it 10-nil after six minutes. Next came Thompson’s season-ending injury. The former Jets fullback was put through a gap off an apparent forward pass, before being brought down just short of the line in a desperate, albeit awkward tackle from Tyla Tamou and Penani Manumalealii. It was those two men who brought about the next try, when a nice inside ball from Penani put Tyla over in the 17th minute. Manumalealii was both creator and scorer of the Reds fourth try, racing through a gap 55 metres out, before finding Jordan Topai-Aveai who came inside before turning back outside to Penani on the blindside, who then stepped the Cabramatta winger to score. The conversion took the score to 22-0. A rout appeared likely, but when Ray Lesoa popped his shoulder during a tackle on 26 minutes, things went haywire for the Reds. The back line reshuffle seemed to cause problems for the home side who conceded two tries in the 27th and 37th minute. The Reds took a 22-10 lead into the second half, but a glut of possession caused by a lopsided penalty count and poor handling from the Reds brought the visitors well and truly back into the game. Four second-half tries in just 19 minutes put Cabramatta in front 28-22. The Reds appeared out of answers in attack, until an inspired second half spell from Malakai Houma turned the tide. And it was Houma who scored the try which evened the scores, running onto a ball from Ben Marschke to score under the posts. Ryan King again converted to make it 28-all. Both sides then traded unsuccessful field goal attempts for the match to end 28-all. 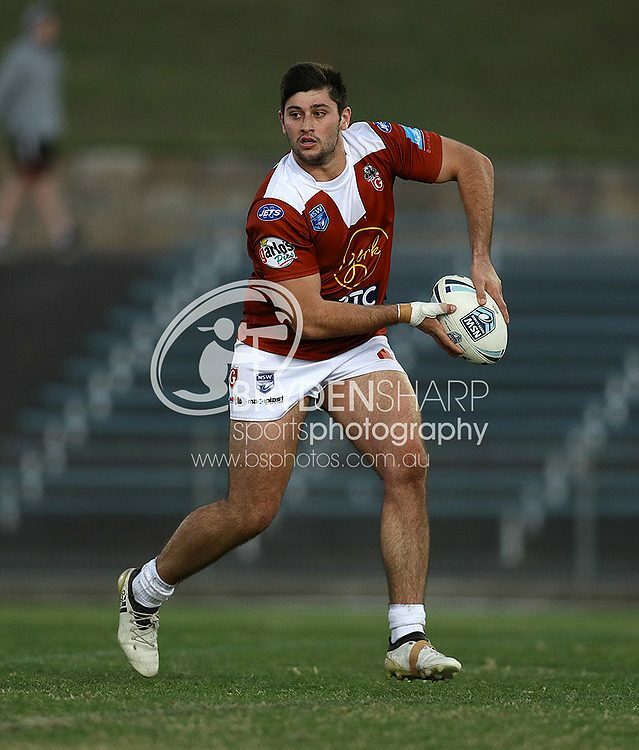 George Tsikrikas, Tyla Tamou and Jordan Topai-Aveai were not far away from the points turning in strong showings. The result means Glebe-Burwood remain in 3rd place on the ladder, one point behind Mounties, who also drew with ladder leaders Wentworthville. 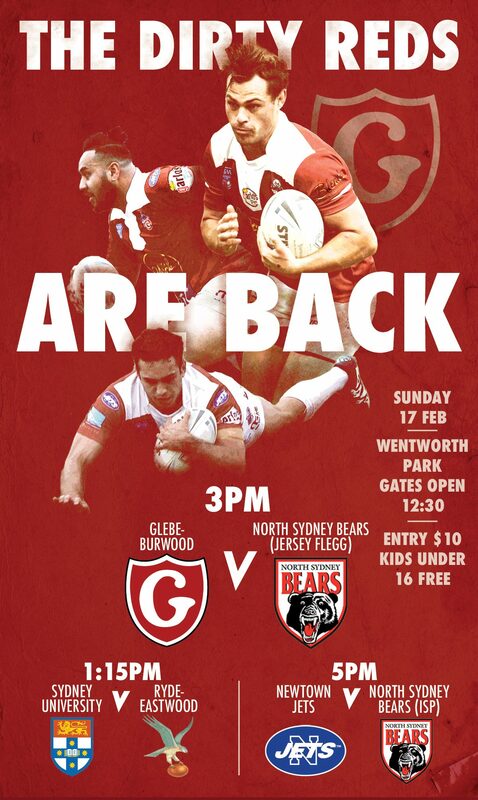 Next Sunday see the Dirty Reds travel to McCredie Oval for their last away trip of the season against 7th-placed Guildford. Make sure you come out and support the boys as they attempt to secure a top four finish. Photo of George Tsikrikas thanks to Bryden Sharp photography.